Encouragement to stop "armchair modelling" ... ! 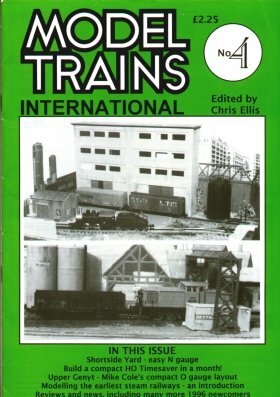 UK Steam­outline layout with several 'operating features', with photos and trackplan. A cheap way to make signs using labels. With photos. The very earliest days of railways, with pictures. Modelling potential of Early 19th C. railways. East German outline layout quickly built, with photos and trackplan. Small US outline N scale layout, with trackplan and photos.